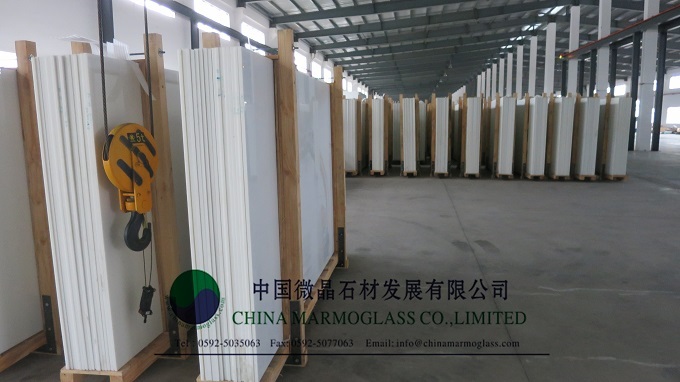 Nano Glass Slabs 3060x1640mm-welcome to china marmoglass, nanoglass, nano crystallized glass panel crystallized glass panel,crystallized white stone,white marble,minicrystal stone. nano glass slab,how to cut nano glass,super nano glass quartz,crystallized glass tiles,crystallized glass panels,white glass quartz,crystallized glass countertops,crystallized glass porcelain tile,white glass countertop. 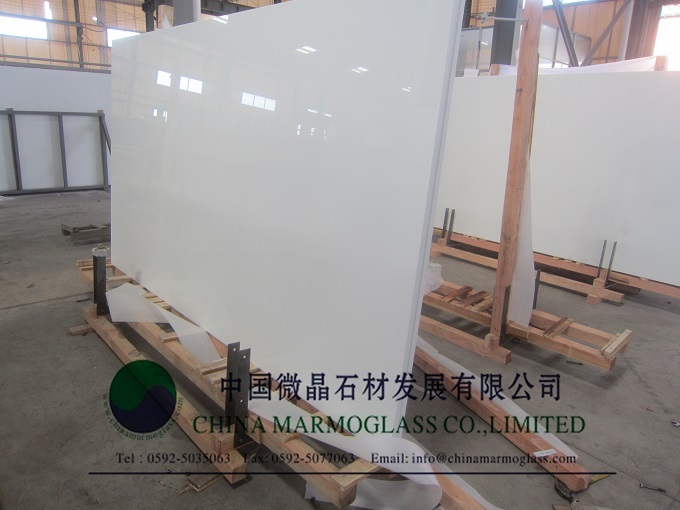 White Nano glass Slab, A professional manufacturer of White Nano glass Slab,White Nano glass Slab detail and price. You can get best China Nanoglass Stone Slabs here,we are China Nanoglass Stone Slabs slabs,tiles,countertops manufacturer. 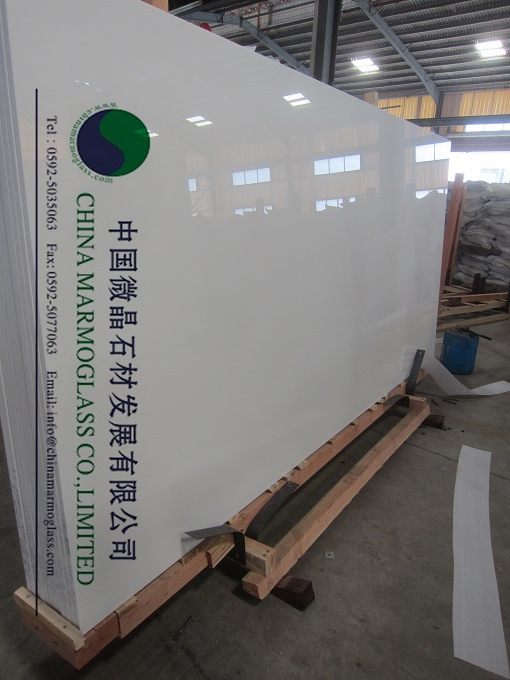 China White Nano Crystallized Glass Countertops for Kitchen, Find details about China Countertop, Kitchen Countertop from White Nano Crystallized Glass Countertops for Kitchen - China Marmoglass Co., Ltd.
China Marmoglass Co.,Limited offer large slab size 3000x1600mm,2800x1600mm for thickness slab 10mm to 30mm. 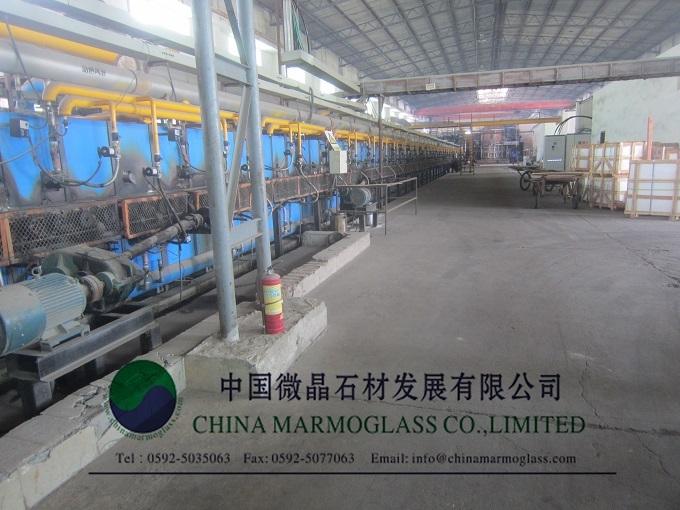 We have all types of crystallized Marmoglass E Nanoglass series from thickness 6mm to 30mm ( Marmoglass, Marmoglass Porous, Nanoglass -NANO2017 NANO3, Mincrystallized Glass Stone). In our workshop, We have advanced machines with high-technology to make the biggest slab size of 3000mm x 1800mm x 30mm (120"x72"x1 1 /6" ) / 3200x1600x20mm and minimum thickness of from 6mm at panel 2440x1240x6mm. With our advanced production equipment and expert technicians, we passed the strict ISO9000 Quality System Attestation and gained customers' trust at home or abroad with new & superior quality, reasonable price and good reputation. Our professional workers are rich in experience of cutting, polishing, drilling, lamination, packing, loading and other finishing. Not only Xiamen Port, We now also have big warehouse/showroom near Shenzhen Port, Foshan Port, Tianjin Port, Jiujiang Port, which we can ship cargo very fast. 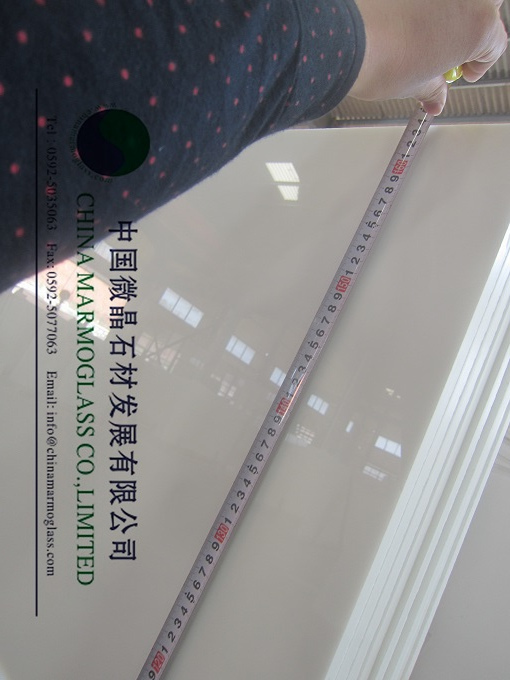 We want to introduce our popular materials Nanoglass Nanostone. We have many thousand slabs 280/300x150/160cm at our warehouse near xiamen port to ship! Nano-Crystallized Glass: What Are Your Thoughts? 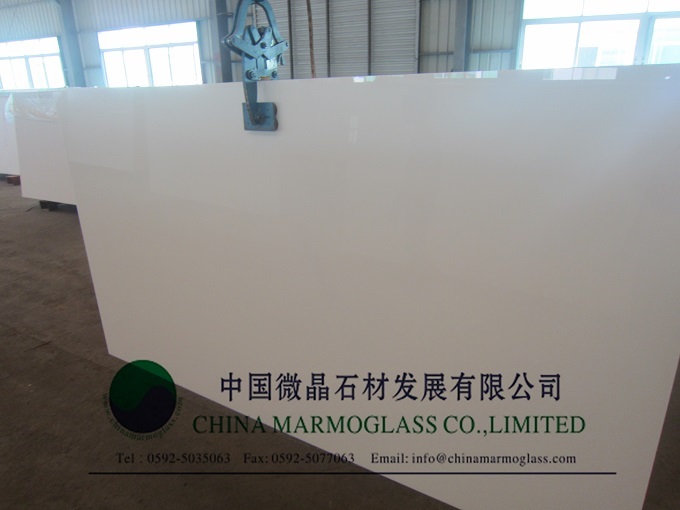 -Nano-cystallized glass is suitable for use as a countertop material, but it can also be used for walls, Dry-Wall-Cladding, floors, windowsills, sinks and tabletops. If you are interest our materials , please do not hesitate contact us for the prices and shippment !